One of my friends posted today on my Facebook page that Emirates has a promo code for up to 15% discounts on flights book using Mastercard. This offer is only valid if originating from the Middle East and using the promo code “GEMCARD”. The discount is applicable to economy and business class travels booked by 28th of April and travel until 30th of November 2015. This offer is only available for flights originating from the Middle East. Such as United Arab Emirates, Saudi Arabia, Kuwait, Qatar, Oman and Bahrain. This is a similar offer I had seen before for American Express holders. 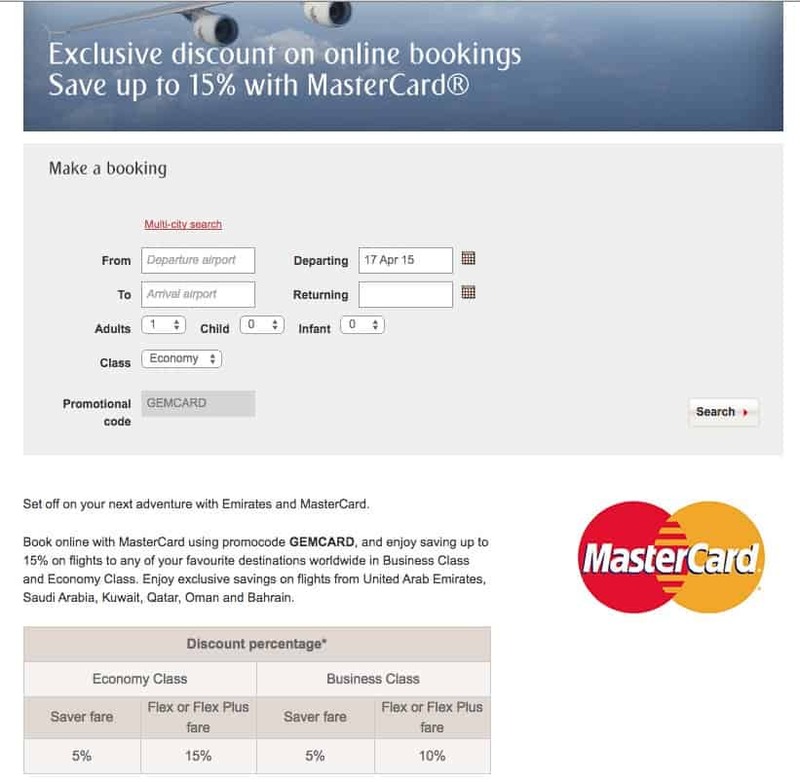 For anyone who might be looking to book Emirates flights from the Middle East this can be a small saving. After all every little helps.